For those who are as fascinated by my olive leaf powder as I am (come on, there must be at least one person out there who is mildly interested), I have some very interesting photos for you. They may not win any “Photo of the Year” award but, for the ‘fascinated’, they will be interesting. After Tania, from The Cook’s Pyjamas, explained to me that some of the colour in my original olive leaf soap would be discolouration from the Arabian Spice Bramble Berry fragrance I was using, I decided to make another lot but, this time, split the batter in half – half with olive leaf powder and half with Arabian Spice fragrant oil. Well, here is the result. The photo was taken about one week after I made it. The soap has darkened slightly since the photo was taken, but the tone hasn’t changed. I quite like both colours (though, maybe not together). The Arabian Spice Oil has a nice mauve/taupe colour and the olive leaf power is a speckled olive green. What is interesting is that the Arabian Spice and olive leaf powder soap has done what Tania said it would, that is, darken. It is decidedly brown. Check out how it looks now and how it used to look. I now appreciate that all fragrances with vanilla in them discolour to various shades of brown. My problem is: all the Bramble Berry fragrances that appeal to me have vanilla in them. Looks like I will be making a lot of brown soap! I used a recipe from Elizabeth Letcavage’s Basic Soap Making for this batch. 2¾ tsp Bramble Berry’s Arabian Spice Fragrant Oil to the other half. 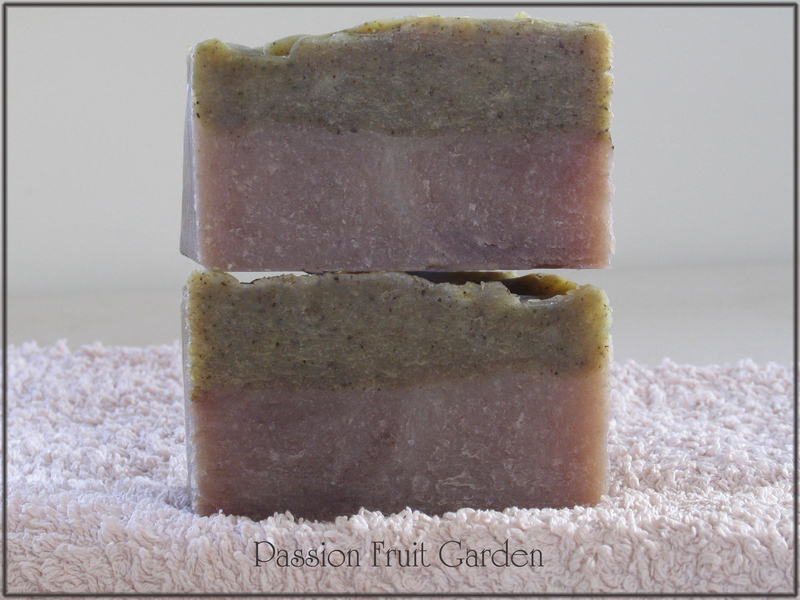 This entry was posted in Soap making and tagged Natural colourants for soap, Olive leaf powder, Soap discolouration from fragrances by Glenda. Bookmark the permalink. Hi Tania, I thought this soap making was going to be cheap. I am going to Aussie Soaps a little more often than I had hoped. What I would like to do is make some nice white soap. Any hints? I just bought some titanium dioxide. Is that my best bet? 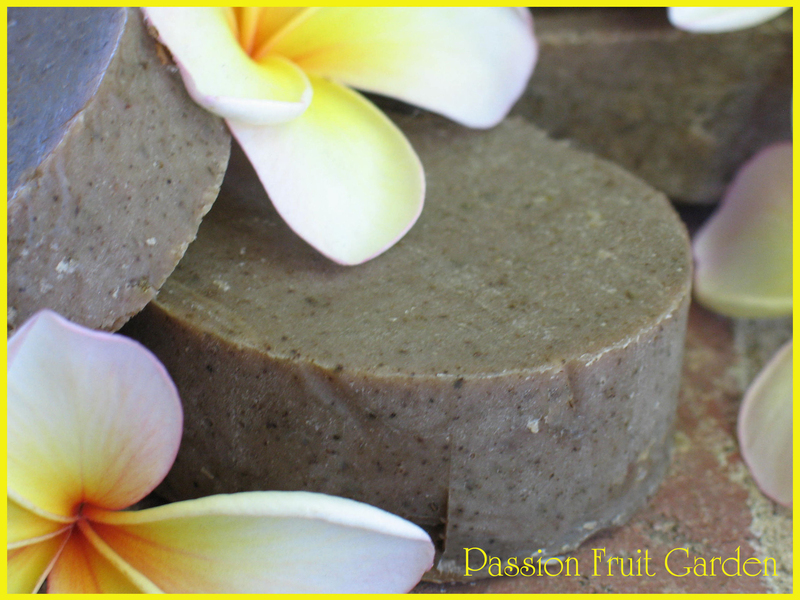 I think we all start on the path of soap making thinking it will be a cheap hobby. It never is because there is always something more to buy or experiment with. To get a white soap you can do a couple of things. Make sure you use really light oils. Your current recipe is fine as long as you are using a light coloured olive oil. The darker your oil, the more yellow cast you will get in your soap. I always use titanium dioxide to get a white base, but it is a fine line on how much to put in. Too much and you can get a marbling through the soap. Too little and you won’t notice it at all. I can’t give you an estimate of how much to use because I usually dump some in and cross my fingers it’s not too much. Not very scientific I know. Can’t wait to see what you make next. 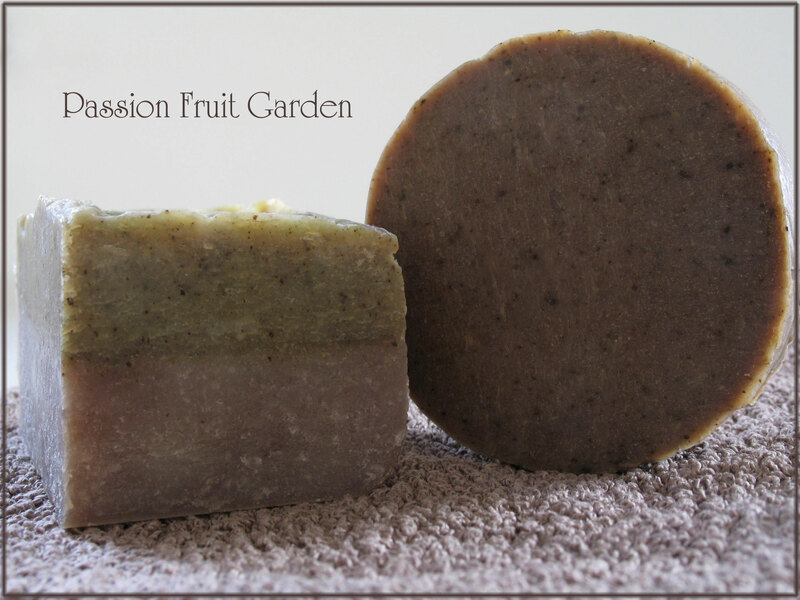 I have my hand raised – I love looking at your soaps. That first photo is really cool – looks like beautiful marble. With all of your roses & olive leaf powders, have you ever made up potpourri? I went on a potpourri binge a while back until my husband asked me why we needed gallon jars of it. Oh Diane, I can’t add potpourri to my list. The list is already too long.